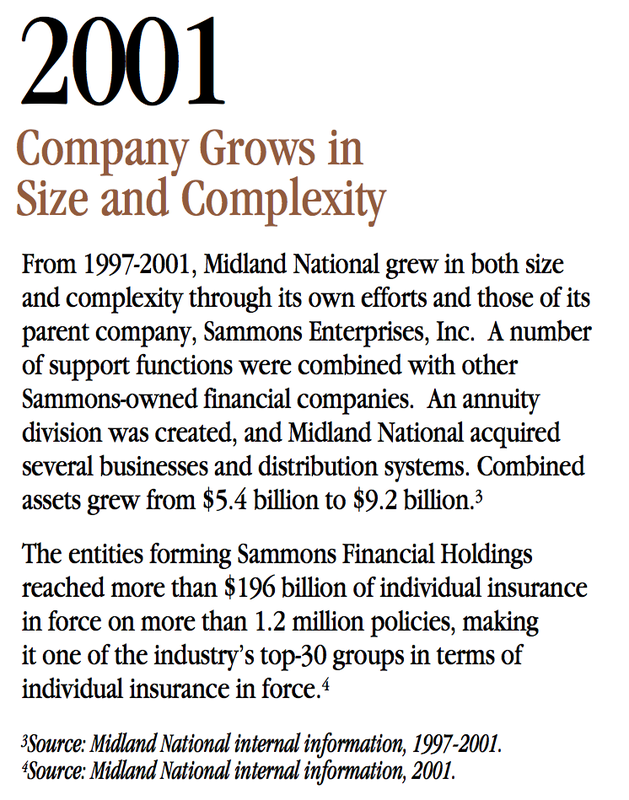 From 1997 to 2001, Midland National grew in both size as well as complexity through its own efforts and those of its parent company, Sammons Enterprises, Inc. A number of support functions were combined with other Sammons-owned financial companies. 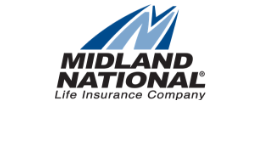 An annuity division was created, and Midland National acquired several businesses and distribution systems. Combined, assets grew $5.4 billion to $9.2 billion. The entities forming Sammons Financial Holdings reached more than $196 billion of individual insurance in force on more than 1.2 million insurance policies, making it one of the industry's top-30 groups in terms of individual insurance in force.